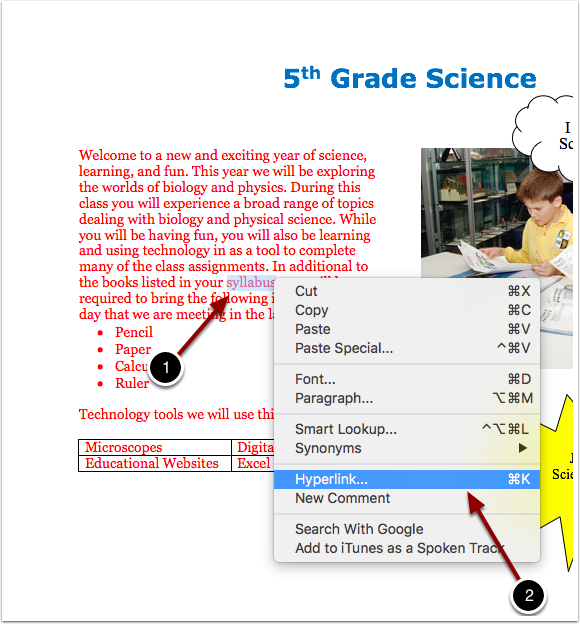 EdTech Help GuidesED206 Word TCAHow Do I Insert A Hyperlink? Hyperlinks are in text links that allow you to click on them and go to the linked website. Below are instructions on how to insert a hyperlink. 1. 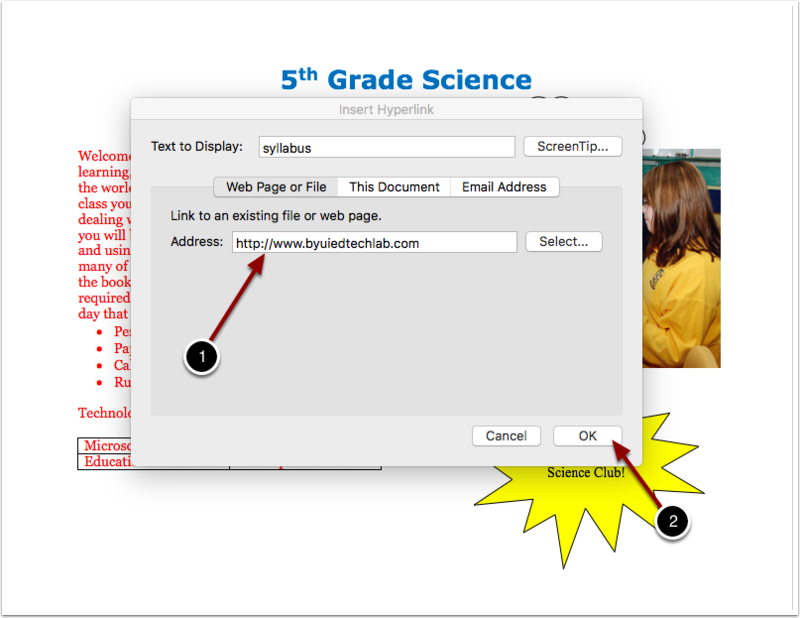 Highight the word "syllabus" and right click on the mouse (or if using a mac, hold down the command key along with the K key). 2. Select the Hyperlink option. 2. Select the OK button. This is what the hyperlink will look like afterward. It will be a different color and underlined. 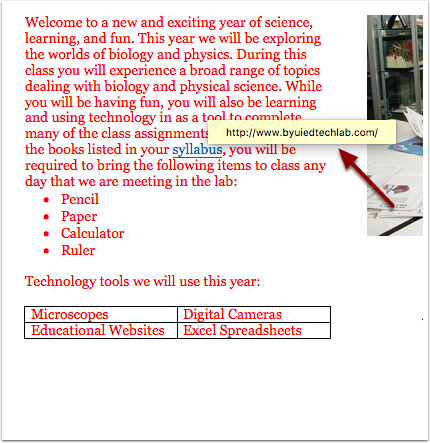 You can check if it works properly by clicking on the word "syllabus" or hovering mouse over the word to make this yellow box appear. Prev: How Do I Insert And Edit Shapes? Next: How Do I Complete the Practice Powerpoint TCA?